Historical trends are often not realised without hindsight. Richmond’s premiership win in 2017 showed that the fairytale Bulldogs win the year before would not be the only one of the era. Melbourne’s dominance against Geelong and Hawthorn in the finals made supporters think that it might be their fairytale this year – that is, until their loss to West Coast proved it wasn’t. 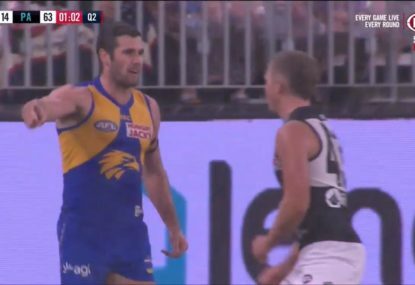 Collingwood looked to come from nothing to rise to premiership glory until West Coast, once again, proved otherwise. 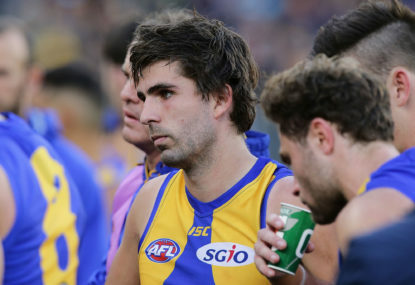 West Coast’s win puts an end to what proved to be a brief era during which underperforming teams revitalised themselves to premiership success. 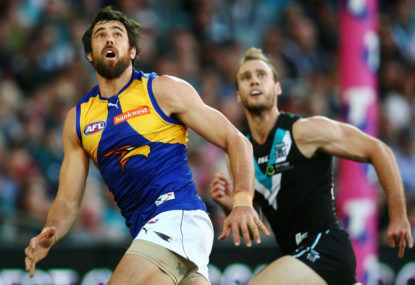 Although West Coast had longer odds than their opponents – perhaps because punters saw the trend in recent years where the dark horse team steamrolled their rival of higher ladder position – their rejuvenation was by no means as impressive as that of the Western Bulldogs or Richmond. West Coast finished the 2017 home-and-away season at eighth on the ladder; in 2018 they finished second. Not since 2014, when they finished ninth, have they missed the finals. Like Sydney and Adelaide – although the Crows’ 2018 season was an exception – they are successful non-Victorian clubs, perennial finalists and beacons of the AFL’s growth as a national competition. Contrast this with recent premiers Western Bulldogs and Richmond – and putative future premiers Melbourne – who until recently have had frequent lacklustre seasons, a lack of finals success and internal divisions at their clubs. West Coast obviously does not fit into the mould of these old Victorian clubs whose supporters are likely to be sceptical of the AFL’s growth as a national competition and therefore unsympathetic to expansion clubs like the West Coast Eagles. This isn’t to say that the West Coast Eagles are unremarkable or not worthy of the premiership. 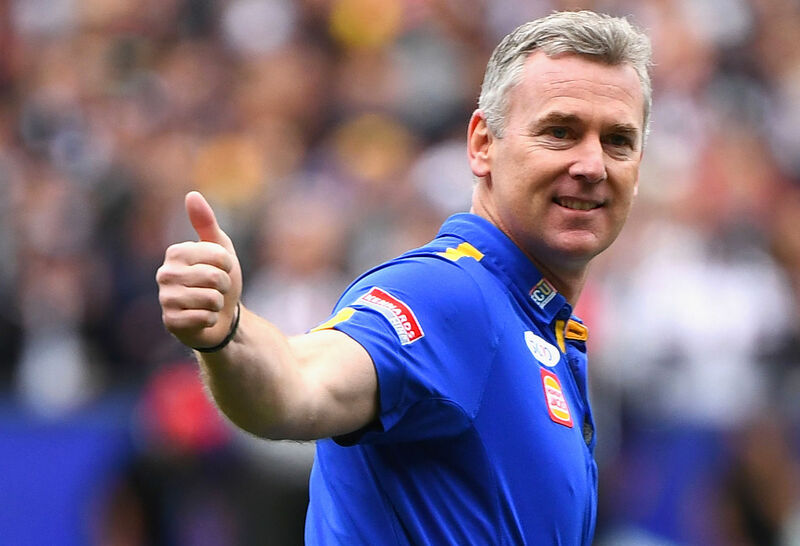 They have been remarkable in shutting down their critics who viewed their list, with the departure last year of Sam Mitchell, Drew Petrie and Matt Priddis, as on the decline. They were consistent throughout the season and finished second on the ladder while overcoming their MCG hoodoo of previous years and proving a formidable team on the road. 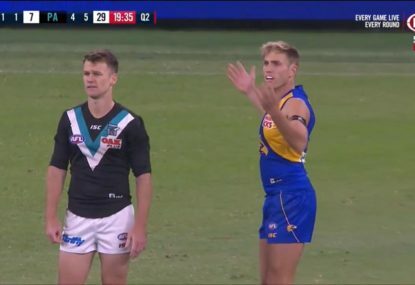 West Coast should also be commended for staying relevant throughout the years and for bouncing back after their humiliating grand final defeat in 2015. But West Coast put a bookmark in the brief era of fairytale finishes for underperforming old clubs. That doesn’t mean that a team like Melbourne, St Kilda or Collingwood won’t win the premiership in 2019 – although for Collingwood it would be less of a fairytale after coming so close this year – but when football historians look back on this period it won’t be one of the outsiders perpetually seizing the premiership. So what trends will be evident when looking back on this recent era of AFL? One may be the gap between commentators and reality. In the Fox Footy preseason tips only three commentators tipped Collingwood to make the eight and only one tipped West Coast. Similarly, commentators were quick to pump up recent Brownlow winners Nat Fyfe, Patrick Dangerfield and Tom Mitchell, but the final three contenders – Tom Mitchell, Steele Sidebottom and Angus Brayshaw – were far less popular tips. Go back over the last two years and you see few, if any, were tipping Richmond or the Western Bulldogs to be premiers. This is not to disparage AFL commentators – they aren’t fortune tellers, seasons are long-running and there are limitations to their knowledge of the inner workings of each club. For example, Greater Western Sydney has been a popular tip for the premiership these past two years, which is a defensible tip as they have come close, having been knocked out in preliminary finals in 2016 and 2017. 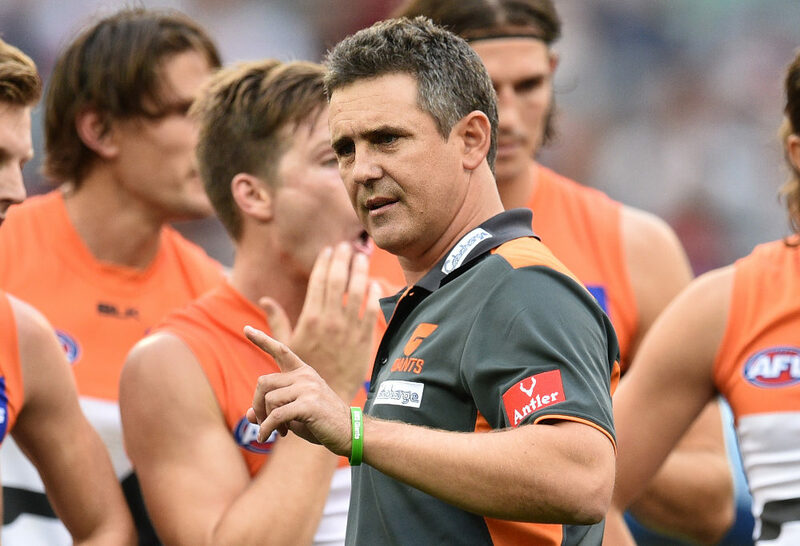 On the Giants have arguably the best list in the AFL, but what commentators don’t know are the intangible factors, such as coach Leon Cameron’s relationship with the team, team cohesion, efficiency when it comes to executing the coach’s game plan, resilience and adaptability to adversity, which is why teams like the Bulldogs, Richmond, West Coast and Collingwood have defied expectations in recent years. Likewise commentators could not predict that Nat Fyfe would cop a suspension this year. Another interesting trend is the rise of Alastair Clarkson proteges. Since 2013 the premiership coach has been either Alastair Clarkson or a former assistant to Clarkson at Hawthorn. Luke Beveridge, Damien Hardwick and Adam Simpson all cut their teeth as assistants to Clarkson at Hawthorn before taking on senior coaching positions at the Western Bulldogs, Richmond and West Coast respectively. Beveridge and Hardwick are particularly impressive for resurrecting success-starved teams, while Simpson’s work is no less significant in leading West Coast to success over what seemed like a period of transition for the club. 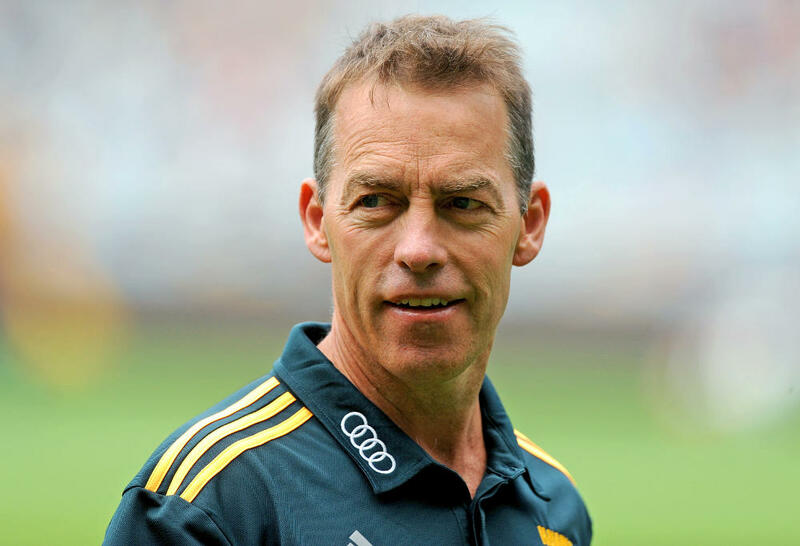 I should mention that I’m not a Hawthorn fan, so I am not presenting a hagiography of Alastair Clarkson, but the success and influence of the man on the modern competition is extraordinary and unprecedented. In addition to Beveridge, Hardwick and Simpson, Leon Cameron at Greater Western Sydney, Brendon Bolton at Carlton and Chris Fagan at Brisbane have all been mentored by Clarkson at Hawthorn. 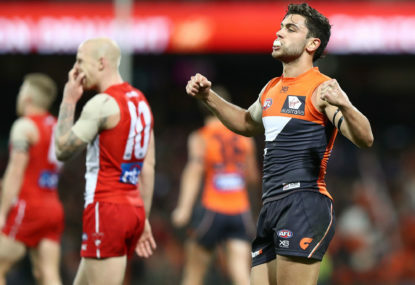 As previously mentioned, GWS are frequently in the discussion when it comes to preseason premiership discussions, which is a testament to Leon Cameron’s efforts. The task of rebuilding Carlton and Brisbane is more difficult, but with positive signs in their young lists and potential new signings for next season, both clubs could develop strongly under Bolton and Fagan. Clarkson has been instrumental in revamping the AFL Coaches Association by pushing for formal qualifications for senior coaches and with it the professionalisation of the coaching industry. Whether this has had any bearing on the recent success of these new coaches is unclear, but expect the trend of the increasing professionalisation of coaches to continue. Clarkson, Beveridge, Hardwick and Simpson are part of a new generation of ‘career’ coaches – coaches who have been involved in a variety of clubs and have done apprenticeships before being appointed to a senior position. Although Nathan Buckley has found success as a coach and remains in the system, he is an outlier in the modern game with his limited prior experience. The era of the ‘player god’ coach is coming to an end. Gone are the days of the club legend being fast-tracked to becoming senior coach at their club – for example, Michael Voss, James Hird, Matthew Primus. These new-era coaches do not rely solely on their reputation as players to get appointed to the coaching role – some, like Brendon Bolton and Chris Fagan, never played in the AFL. They earn their stripes as an assistant, often at a different club to the one they played for, before getting appointed as a senior coach to a different club again. Objective standards like fostering relationships; delegating responsibilities within the coaching department; and game plan, strategy, pedagogy and development take precedence over knowing the internal club culture and being popular with the fans. 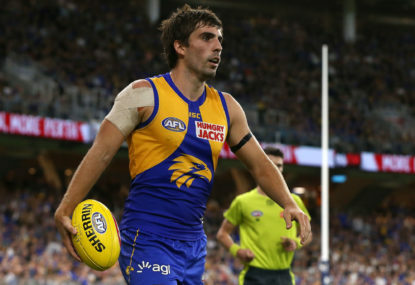 It’s unclear what other trends will be identified in our era when looking back, but West Coast’s premiership win confirms the continuation of the gap between expert prediction and reality and the rise of coaching professionals.